I wanted to build this robot, but we just didn’t get that far. I’ll save it for my summer program at the community college. After midterm exams, we came back to the robots for a final two weeks of programming. First up was the touch sensor. I liked this lesson, it added switch blocks (if-then) into the programming. We used it with the “follow the line” activity, but the training software told the kids what to do. This time they had to do it on their own. By now, the CMU software has become only a guideline and a reference for the kids. Their assignment was to teach the robot to move forward until it bumped into something. When that happened, the robot was supposed to stop, say “sorry,” back up a little, turn, and start over. This is actually an easy program, so while they were figuring this out, I build a maze out of textbooks. Part two of this got tricky. I stopped class and explained how you can find your way out of any maze by simply hugging either the right or left wall. They had to try to get through the maze using the single touch sensor in the front. Only one of my students got this to work, and I actually gave him the method. I won’t give it away. Most of the kids got frustrated because the robot would enter the maze and just bump around aimlessly. I asked them to brainstorm a method of using two or more sensors to get through the maze. The general solution was to add the ultrasonic sensor. Rather than add the sensor to the front, we added it to either the right or left side. The idea was to have the robot stay a certain distance from the right wall. But if it hit something while following the right wall, it would need to make a left turn and continue. This took a lot of trial-and-error for them. It required two switch blocks, one first for the ultrasonic sensor, then one for the touch sensor, both of them together in a loop. I made this more interesting by changing and growing the maze each day and requiring that the robot must enter the maze from point A and exit at point B, then do it in reverse. This eliminated the possibility of somebody getting clever and just teaching the path to their robot. I made it a point challenge, 50 out of 50 for the fastest combined time, 45/50 for completing the maze in both directions, 40/50 for completing it in one direction, and 35/50 for trying until they ran out of time. Slackers got less, mostly 25/50. The CMU lesson software is a good starting point for a lesson, but I needed to add a timed point challenge at the end of each training sesson. I will use the CMU lessons in the future, but not rely on them alone. It’s really hard to put this stuff on a midterm exam. Best to not try and give them graded programming challenges every day or two. Keeping the kids out of the parts bins is a good idea as long as several classes are sharing the robots. Next year when I have a dedicated class, it won’t be an issue. But not letting them modify the robot beyond the guidelines of the lesson was the way to go. Number all the big parts to match the brick and bin. I started to have the kids delete their programs from the computer and the robot so others wouldn’t cheat. I don’t have a better way around that right now. I’d like to use USB drives, but we’ve had virus issues, so that’s not allowed. Ideally, LEGO will add password protection. Invest in some NXT books. I found a bunch on eBay and half.com and went crazy. If you are only purchasing one of them, buy the book “The Lego Mindstorms NXT Idea Book” by Boogaarts, Daudelin, Davis, Kelly, Levy, Morris, … . This is the book I wish I had before I started the course. It tells you how to do all those things you figure out a little too late, like making your own subroutines (it’s so easy) and how each of the sensors work (if you use more than one ultrasonic sensor at a time, they interfere with each other). Also, books by James Kelly have some good challenges based around a storyline. I think this would be a great way to introduce these robots to a middle school class. I have the Mayan Adventure, his newer one is called The King’s Treasure; I’ll be picking that one up as well. I will add the “My Blocks” early on. Next time, after the kids complete the first task of programming the robot to travel in rectangle, I’ll show them how they can make a single “My Block” for a 90 degree right turn and just use it rather than cutting and pasting 5 blocks for each turn. Hopefully, they’ll build their own library of additional blocks as the class progresses. 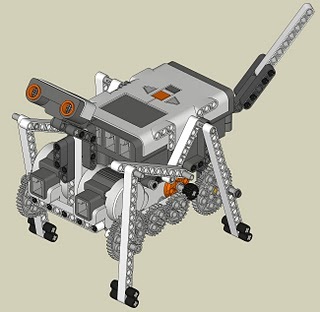 Download videos of LEGO projects from YouTube. There are a whole bunch of different walking robots, Rubik’s Cube solvers, and an amazing Sudoku solver that you absolutely must see. I plan to show the walking robots to the summer kids and let them go on their own to design and build their own walking creation. The videos showed the kids the power of the “toys” they were playing with. I will show these and other short robot videos, perhaps one at the start of each class, in an effort to motivate them into doing more. I was worried I wouldn’t have enough material for the kids to do this for 6 hours a day for a week. I’m pretty sure the projects and videos will make the summer session fly by. It should be fun to let them experiment and build on their own. My college buddy Andy sent me this. From the title alone, you know you are in for something a little different. The book itself is written as a conversation with the author and his dog. The author’s dog, Emmy, plays a very important role, offering great questions and commentary and constantly bringing us back to the practicality of the science. 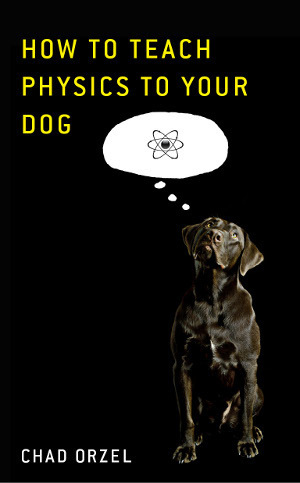 Chad Orzel’s relaxed writing style brings the book down to a more common level, but is quantum physics for everyone? I haven’t studied quantum mechanics since my junior year of college, so I am more than a bit rusty. I picked up the book and got through thirty pages in no time. Then there were times when it made my head hurt and I could only get through a page at a time. Quantum physics is strange and challenging material. Chad does a great job making it interesting and readable. I often pick up books and don’t bother finishing them. This book kept pulling me back to discover what oddity was next. I knew about the Copenhagen interpretation of quantum mechanics and I’ve never felt like it made sense. In the book I learned about the “many worlds” interpretation. While they have the same outcomes, they take different paths at understanding superposition. I’m not sure any of it really makes sense, but the book does a real nice job bringing quantum mechanics down to the science minded lay person. I love that Chad ends the book with an straight forward scientific discussion of all the crap out there claiming quantum healing and magic. As a high school physics teacher, if I get any questions on quantum mechanics, it’s usually about the cures and “free energy” and not about Feynman drawings (which are touched on) and quantum teleportation. This is not a simple read, but worthy of your time. I expect I will pick this book up again in about six months to see if a second read improves my understanding. Again, not something I would usually do, but I can see jumping back in for another taste. Thanks Andy. I received an email from a rep from Bedford, Freeman, & Worth Publishing (http://www.bfwpub.com/highschool) with their latest textbooks and a lab notebook that has carbonless copies. I was intrigued since I’ve not been happy with my use of notebooks (see my post on Pulley Lab). 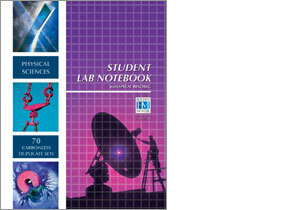 I really like the idea of the students using lab notebooks, and I do more than enough experiments to make it worth keeping one, but carrying 100 of them home to grade … it just doesn’t happen. To make my life easier, I’ve created a bunch of mini-labs where they get a handout, answer questions and hand it in by the next day. This has worked well from a grading point of view, but the students haven’t had to keep a lab notebook anymore, and so I’ve lost the college-level work I’m aiming for. I think these carbonless copy notebooks may be the answer. We are going to try them next year. The students will be required to purchase them at the school store. They are not inexpensive, the cost to the school is between $9 and $11 each. I know this outside of my usual posting, but when I saw this I just wanted it. No, I won’t be bidding, it’s a bit out of my price range. On the eBay page, you can see the inside page with the signature. The starting price is $1000 and they are estimating it will sell for between $2000 and $3000. I think it’s worth $1000, but I’m a little short on cash this week. If any of my students are looking for a Christmas present for Mr. Physics, I have the perfect item right here. Epilog: The link is still live; the book went for a mere $1000 and there was only one bidder. I could have been a contender. Damn. I picked this book up recently at Barnes & Noble for three dollars. It was on the extreme discount rack that occasionally appears near the front door. That day I got lucky with three books on teaching math and science. I’ve mentioned this in a previous post, but I like to take activities intended for middle school and use them in my 12th grade classes. I find these activities tend to have a higher fun factor and if I find them interesting, at least some of my students should as well. The book says it contains “over 185 exciting investigations to teach thinking & reasoning skills along with science concepts and facts.” I would agree. The activities are typically only one or two pages long with a small conclusion called “Teacher Information.” The table of contents is one of the most useful I have ever seen. The chapters are divided into topics and each topic has anywhere from five to more than twenty activities clearly listed in the form of a question. For example, under Physical Science and the topic of Energy (of which there are 19 activities), activity two asks, “How Much Horsepower Do You Have?” Then, using only a stopwatch and a calculator, the students use the formula provided to see how their horsepower compares to a motor bike or a car. Simple, but memorable. Usually, these kinds of books are easy to find. For some reason, this one is not. Nothing on Half.com and the ISBN brought up nothing in a Google search. The author is Marvin Tolman. 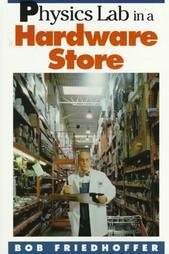 I have the link to the book in the picture above, but if you go to BN.com or Amazon and search his name, you will find he has a whole series of these books available. Summary: I really like this book for quick activities to start class, another 4/5 Einsteins. 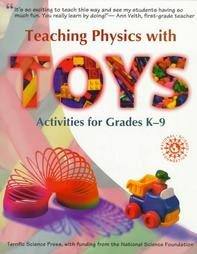 This is a great resource for a Physics or Physical Science teacher. In fact, this book is within arms reach of me as I type this. I would say it is one of the first places I go when I’m looking for a creative new activity or experiment. The cover says it’s for K-9, but I use it with my seniors and find that the labs and activities are just fine. I referred to this book in my post about the construction of an electric motor using a D cell, wire, and a magnet. The book is a wealth of ideas and I’ve used it as the starting point of an experiment. I mentioned in the other post that there is an updated version that I have not seen. 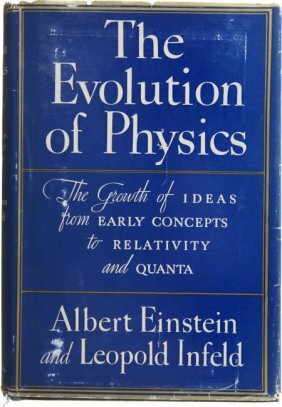 Summary: Worthy of your shelf space, rated 4/5 Einsteins. I decided I need to add a book review section to this blog. I have a pile of books that I steal ideas from. This one was on my list to purchase, but I found it in the Juvenile section of our local library. It is written for a budding scientist, but I don’t think it really hits its target. As a teacher, the stuff is almost obvious, so while I got a couple of ideas from the book, mostly it was a quick skim and return to the library. I’m glad I didn’t purchase the book. Far too much of the book is used to describe examples of simple machines. I spend very little time on machines, so the book isn’t one for my library. Having said that, I will be looking for his other books at the library in hope of gathering another one or two ideas. Summary: Worthy of borrowing, not one to purchase. Rated 2/5 Einsteins.